Professor Hudson joined the faculty in 1990, serving as the Department Chair until 1998. Prior to that he held several research positions with industry and government agencies. He teaches on a rotation basis the following courses: AOSC 621 Physical Meteorology II - Atmospheric Radiation and AOSC 200/201 Weather and Climate. He was Project Manager, Environmental Effects Project Office, NASA/Johnson Space Center (1974-1996); Head, Stratospheric Physics Branch, NASA/Goddard Space Flight Center (1976-1982); Manager, Advanced Planning and Technology Office, Earth Sciences and Applications Division, NASA/HQ (1982-1985); Head, Atmospheric Chemistry and Dynamics Branch, NASA/Goddard Space Flight Center (1985-1990). He is currently the President of the International Ozone Commission. 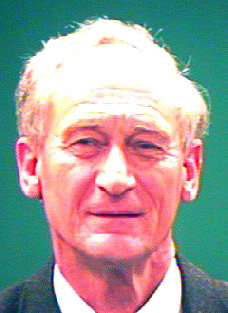 Professor Hudson's research interests are in the derivation of ozone column density, ozone profiles, aerosol concentration, and sulfur dioxide in the troposphere and stratosphere from ultraviolet radiances observed from satellites, and in the application of these results to an understanding of atmospheric chemistry and dynamics. This work necessitates the formulation of new algorithms. He is also involved in studies of tropospheric air pollution. Recently he has shown that the total ozone field can be separated into distinct meteorogical regimes. He has been able to use this approach to determine climate variability over the last 35 years. Hudson R.D. and A.M. Thompson, Tropical tropospheric ozone from total ozone mapping spectrometer by a modified residual method', J. Geophys. Res., 103, 22129-22145, 1998. N. Harris, R.D. Hudson, and C. Phillips, Editors, WMO, SPARC/IOC Ozone Profile Trend Assessment, WMO Global Ozone Research and Monitoring Project - Report #43, Geneva, 1998. R. Bojkov and R.D. Hudson, Lead Authors, Chapter 4, 'Ozone variablility and trends', in 'Scientific Assessment of the Ozone Layer, 1998', UNEP/WMO Ozone Scientific Assessment for the Montreal protocol, 1999. A.M. Thompson and R.D. Hudson, Tropical troposphere ozone (TTO) from Nimbus-7 and Earth Probe TOMS by the modified residual method: Evaluation with sondes, ENSO signals, and trends from Atlantic regional time series, J. Geophys. Res., 104, 26961-26975,1999. Thompson, A. M., B. G. Doddridge, J. W. Witte, R. D. Hudson, W. T. Luke, J. E. Johnson, B. J. Johnson, S. J. Oltmans, R. Weller, 2000: A tropical Atlantic paradox: Shipboard and satellite views of a tropospheric ozone maximum and wave-one in January-February '. Geophys. Res. Lett., 27, 3317-3320,1999. Hudson, R.D. and A.D. Frolov, 'Separation of Total Ozone by Meteorological Regimes', Atmospheric Ozone, Proceedings of the Quadrennial Ozone Symposium, Sapporo Japan, NASDA, 1-2, 2000. Thompson, A. M., J. C. Witte, R. D. Hudson, H. Guo, J. R. Herman, and M. Fujiwara,:'Tropical tropospheric ozone and biomass burning', Science, 291, 2128-2132,2001. Hudson, R.D., A.D. Frolov, M.F. Andrade and M.B. Follette, ' The total ozone field separated into meteorological regimes, Part I Defining the regimes", J. Atmos. Science, 60, 1669-1677, 2003.